The days are still gloomy but spring break is creeping up, fast. And because we all know how real legging-season can be, we gotta face the fact that we might not exactly be beach-ready. So before you dig out your weekender and secure those boarding passes, consider how you can first give your body the pre-trip TLC it deserves. You might have expected us to start here, but this step is often underestimated. Because it’s not as much about the act of scrubbing but when you begin. You want to give yourself a good couple of weeks of intense buffing if you want to glow in those selfies. So start now; head in for a luscious body polish, then continue at home with a good scrub every few days. Soothe your skin with a quality shea or cocoa butter blend and you’ll be nothing less than supple by send-off. Admit it: the last thing you want to do is bring the razor on vacation. Not only is it going to seriously cramp your quick-shower style but it’s just plain archaic compared to the magic of the wax session. Why goop and scrape in a rented bathroom every day when a trained professional can reveal baby-smooth skin that will last longer than your entire trip? We offer a variety of packages so you can remove a little.. or a little more. Spring break warrants a good base tan, but don’t even think about one of those UV boxes of the old days. When we say to start early, we’re talking about using the most advanced and quality sunless tanning products on the market. Today’s formulas leave you with a just-off-the-beach glow instead of the streaks of your self-tanning nightmares. They’re professionally applied in 15-20 and you can get dressed in 8-10. A perfect sun-kissed glow and there’s still time for lunch? Yes, please! Perfect lashes are all the rage right now, but the curling, coloring and combing involved — who wants to fuss with all that each day? Lash extensions are the perfect solution. In just one session you can dramatically enhance your own lashes with results that will make Bambi blush. No additional fuss to complete your look; just wake up and go. With regular touchups you could keep them all summer long. Spring is all about new beginnings and breaking out of the cabin already. And as sure as the fresh flowers that pop up around you, each year we bloom a bit, too. Your beauty is found not in your skin and lashes, but in your heart and personal expression of the things that make you, well, YOU. 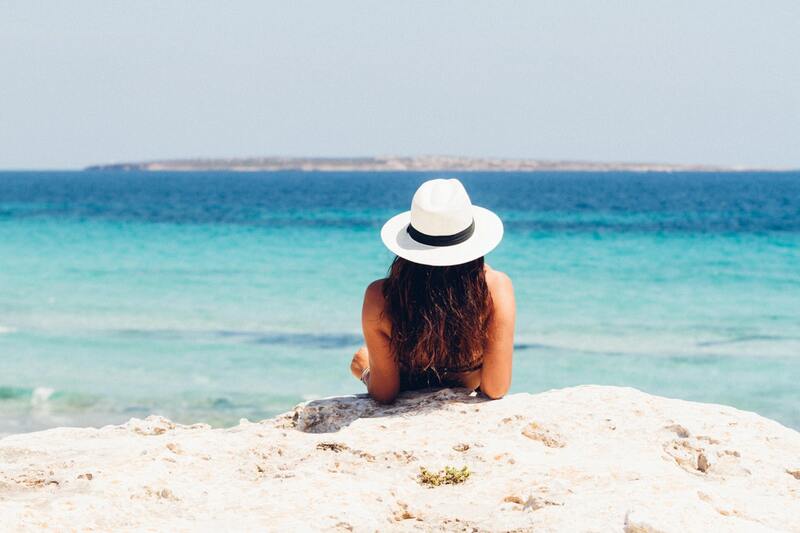 So snag that sunhat, and splurge on that balayage service. Go ahead and rock the clutch that matches your manicure. Treat yourself to whatever it is that helps you take on the new season with creativity and confidence.